Our Intermediate surflessons or as we call it: surfcoachings, are designed by pro-surfer Zouhir Houmay: for surfers looking to fine-tune their surfing ability or take it to the next level. Our instructor join you in the water, analyze the waves you catch and provide detailed feedback to help you reach your surfing goals. Take your surf ability to the next level in Morocco! Do you feel comfortable in green, unbroken waves and you making your first good turns, or if you’re more advanced and your already trying to perfect manoeuvres , then our coaching will be perfect for you. In the moring we leave the hotel with surfgear to the best surfspots of the day. You will meet your surfinstructor in the hotel. During the day he will be with you to help you out with everything. Experience cruising down the Moroccan coastline with good music and group of like minded surfers in search for the perfect ride! The surfcoachings starts with a 2 hour surfsession in the morning (this is always depending on the tides). We take a rest with a lunchbreak. After the lunch you have 3hours surfsession. During the afternoon surf session you will learn to apply the new learned techniques. With a mix of video and photo feedback sessions, surf lessons and coaching; the intermediate surfer can receive personal feedback, valuable tips and lessons from a pro-surfer in an inspiring and invonative way. On what surfspots do we surf? 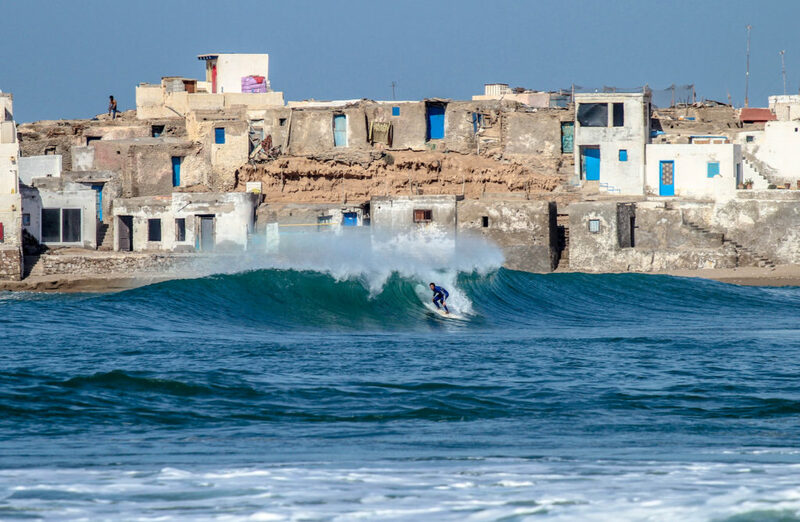 The seasons are giving different swell to Morocco. So the surfspots will change trough the seasons. Do you visit us in wintertime? The biggest swells are arriving in Morocco from November till February/March. We will cruise along the Moroccan coastline and find endless surfspots that are suitable for your surflevel. Depending on your experience we choose for a beachbreak pointbreak or reefbreak, and wave size. We surf on spots like La Source, Devils Rock, Immesouane or Tifnit. Do you visit Morocco in summer time? Then we try to find the biggests swells of the area, we can find the bigger waves at surfspots as: Anza, or Tamri. The unique surfcoachings are designed by pro-surfer Zouhir. He has years of experience with surfcompetitions, giving surflessons to all surflevels and coaching young promising talents at pro level. 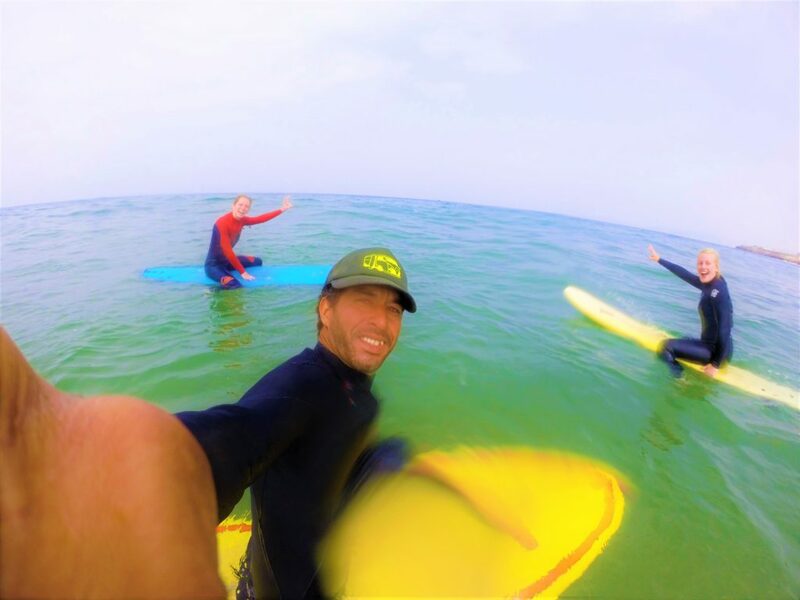 Zouhir created a balanced surfprogram to progress fast during your holiday week, surf different spots to get more experiences on different kind of waves and get personal feedback to perfect your technique! The surfinstructors are all ISA certificated and have more years of experience in giving surflessons. Our surfcoaches will give you every day another challenge. The main goal is feeling confident in the water and creating your own style while using the surftechniques in a smart way. Reading the waves: where can I find open waves, when is the wave breaking, where to be in the water? How do I select my waves? Timing: When do I need to peddle, when do I need to stand up? Advanced Paddling: how can I maximizing my paddle efficiency? The Bottom Turn: how do I turn my board? How can I gain speed? How can I define my own surfstyle? What surf ettiqetues do I need to know? How to treat my board? Surfinstructor: Pro-surfer Zouhir and his team, all instructors are ISA certificated surfinstructors. Duration: 5 hours lesson per day! It is always hard to find a surfcamp that offers surflessons for intermediate surfers. I was really happy that the surfinstructors really took time to coach me in the water. They gave me great feedback that was really helpful. I surfed one week every day and I learned a lot about my position, and how I can make it more easy to take waves. After surfing we had a lot of fun, and the instructors took me with them to see some extra's in the area. I will take the lesson sI've learned with me on my other surfholidays trough the world, but definitely comming back to Surf Paradise Morocco to visit Zouhir and Suzanne. I had a fantastic week at this surfcamp in Morocco! The best thing of the surfcoaching is that you get lessons on your level. The teachers understand what you need as intermediate surfer. The groups are very small and the surfcoaching is individual. Every day we surfed a spot that was a little bit more difficult, so the week was constructive. That's why I recommend taking daily surf coaching in a complete surfpackage.